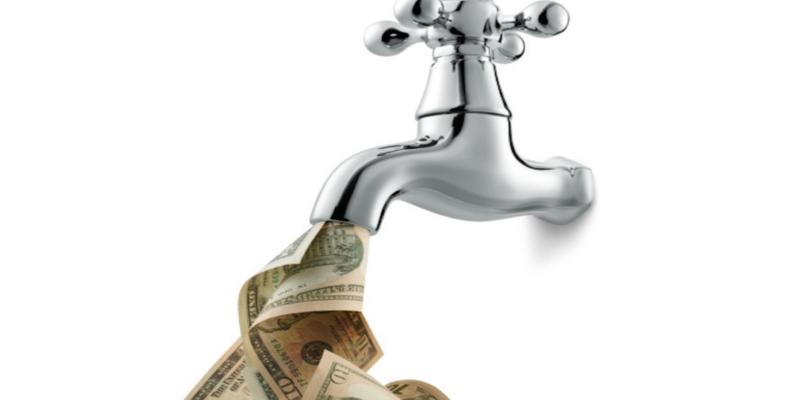 Are you trying to get more leads and customers for your plumbing business? Owning and operating a plumbing business can be tough today! With increased competition, plumbers need to set themselves apart to get the phone calls from new potential clients and customers. Having good local search engine rankings is important but not always enough. What else can help to set you apart? Considering that video is the most viewed medium on the internet today, and the fact that video is captivating and engaging for visitors, a high quality marketing video is an investment that can help you compete locally. Aside from getting you ranked higher in search engines, a great marketing video will attract more customers to your website. Most people have also experienced an untrustworthy plumber once in their lifetime and aren’t always quick to trust another. Video also helps you to build that trust very quickly by letting the audience see you in action and that you do your job well! Video instantly sets you apart from all those competitors who don’t use it. Many people wouldn’t expect video marketing to be important for a plumber, however it can play a vital role in helping your business grow. Despite their incredible power, it’s not always that easy to get started with marketing videos. For this reason, it’s always best to let the professionals handle it. Much like the homeowner shouldn’t think they’re a plumber and attempt to repair their own plumbing dilemma, likewise plumbers shouldn’t think they’re an actor, professional copy-writer, video editor, producer or publisher. Use an experience, highly qualified video production and marketing agency. They have the tools, knowledge and know-how of developing a winning strategy. Attract More Prospects and Generate More Phone Calls. Are you wondering what it takes to make Customers choose YOUR company when they search online for the plumbing services they need? In many different aspects of life, people appreciate visual representation of anything as opposed to reading. With that being said, you, as a business owner, should focus on marketing your business using many different visual means – and video marketing is one of them. You will, however, have to deal with competitors who are fighting for the same local market as you. So in order to attract more customers, your video marketing plan has to be professional and top-notch. Consumers usually judge the “quality’ of a business based on its visual representation, such as their website, images, and yes, the quality of their videos. Potential customers could be searching for help with a plumbing problem, and your videos could be the search results that satisfy their search query. When done properly, video can help you to likely to rank above your competitors in a search. And lastly, videos on your site can help convert that search traffic into customers by helping customers feel more comfortable choosing your company to do business with. Video marketing simply cannot be ignored. The key is to make sure the videos that are of high production quality, and are engaging and appealing to your target audience will result in increased appointment calls. What Types of Video(s) Should You Create? There are several different types of videos you can create, such as custom commercial style videos to introduce your company, products, and services. Also, you can create tutorial style videos to help your viewers perform a certain task related to your industry. Product demonstration videos are always a winner because they help you increase sales by showing viewers how to use your products. Testimonials are also great for video content as this is a way to let your potential customers see what your existing customers are saying about your business. This is powerful because studies have shown that most people believe what they hear about a business from other consumers. Successful Video Marketing Requires a Successful Strategy! Do you have a few videos online, but not seeing any extra leads come in as a result? There could be quite a few reasons for this. Many businesses start down the journey of video marketing, but somewhere along the road, they get side-tracked or lose their spark. However, the process of video marketing cannot be taken lightly and requires some consistent dedication and effort. Many businesses create one video, slap it up on their website and are done with it. This is definitely not a good approach. Video marketing strategy should be viewed as a long-term strategy to keep your audience engaged. People love viewing fresh content, so give them what they want. While plumbers may be experts when it comes to fixing broken pipes and unclogging drains, many fall short of marketing their business to allow their customers to find them. It’s simple. You can’t fix a plumbing issue without tools, and you can’t get your business flowing in the right direction without the necessary marketing tools for the job! Your video marketing methods should be high-quality, high-quantity and geared towards getting results. As with any other type of marketing, there are some things you need to do on a regular basis to maintain and build your video marketing sales funnel. Video marketing will allow you success in creating local awareness, and help generating more inbound calls via the internet. If you would like more information about how to set up, maintain, or even improve your video marketing campaigns Contact Original Video Productions for our risk-free, no-obligation video discovery session today.